Chelsie was an absolute pleasure to work with and has such amazing talent!!! Chelsie truly has a gift with styling hair and I was so happy with her work on my wedding day. She is easy-going and so wonderful to be around. 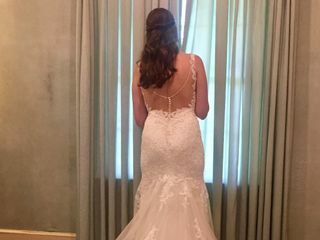 She and her assistant were able to successfully (and beautifully) style myself and all 12 of my bridesmaids (plus moms and another family member) with time to spare. 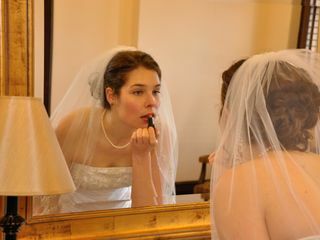 Everyone commented on how beautiful they felt and how great it was having Chelsie around as we were all getting ready. I truly feel lucky to have had Chelsie style my hair for my big day and cannot thank her enough!!! Best of the BEST! I would highly recommend Chelsie and her team! 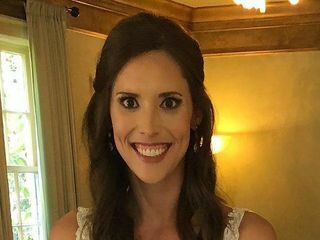 Chelsie was on time and made sure the entire wedding party was on track and happy with their hair. I made a minor change to what I wanted the day of and she did it perfectly. I was so happy with the results and so were all of my bridesmaids. Chelsie was prepared, ontime and did an excellent job with my hair and makeup. We will be using her in the future. Chelsie was an absolute dream to work with. I had the hardest time finding a stylist and my makeup artist suggested I give Chelsie a call. When she did my test look, I knew she was the one! 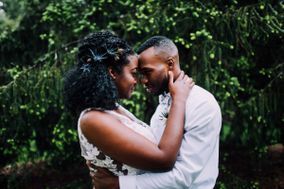 The day of the wedding she arrived early and flowed with the typical little delays in getting ready like a pro. Most importantly, she's a hair wizard! 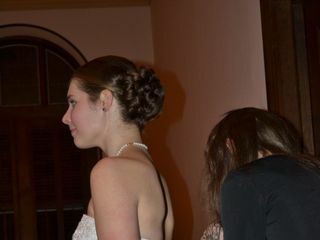 She made my hair look incredible and my updo stayed put ALL NIGHT. I highly recommend Chelsie for any special event you have! Chelsie is amazing. 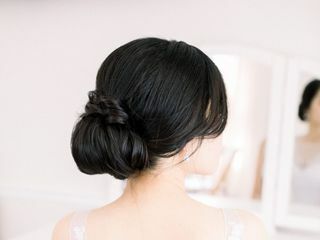 I brought in a photograph depicting the style I wanted for my wedding hairstyle. She met with me before my wedding to practice with my hair and the day of my wedding. Both styles were perfect, and that says a lot because my naturally curly hair can be difficult to manage.